If you’re wondering when the Age of X-Man will finally end, you’re not the only one. By this point, I’m more excited about how the X-Men will acclimate to life back on Earth-616 then I am about this sprawling, monster of a storyline. All the miniseries make keeping up with Nate’s fantasy land nearly impossible. With that being said, the storyline itself can be entertaining. There have been a ton of successful single issues within the Age of X-Man saga, including this week’s AGE OF X-MAN: THE MARVELOUS X-MEN #3. The premise of Age of X-Man is strong…so why is no one really excited about it anymore? The creative team of Lonnie Nadler, Zac Thompson, Marco Failla, and Matt Milla do (almost) everything right in this issue. 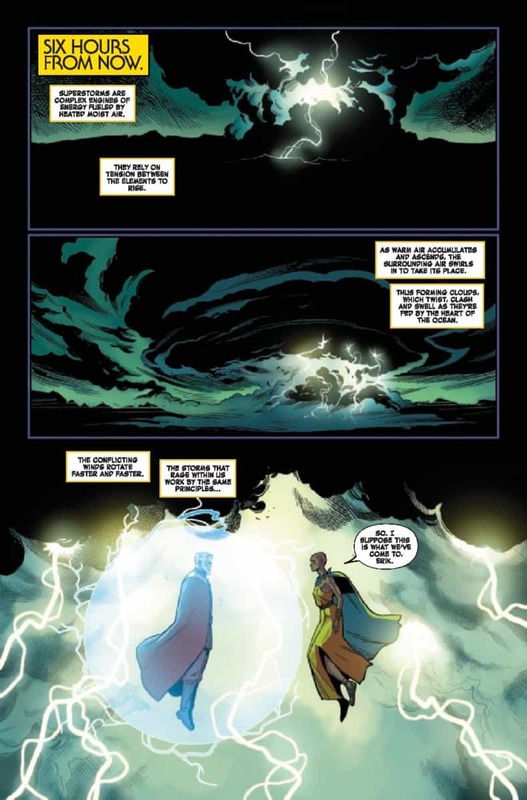 Nadler and Thompson give Nate, Storm, and Magneto some needed characterization while still balancing the other members of the X-Men. Failla’s heavily stylized linework may not be everyone’s favorite, but, unlike some of the other Age of X-Man series, it doesn’t negatively pull from the issue. All in all, it seems like a good issue…but as I was reading it, I couldn’t help but feel like something was missing. After thinking on it a little more, I realized what it was: AGE OF X-MAN: THE MARVELOUS X-MEN #3 is well written, well drawn, and utterly stagnant. AGE OF X-MAN: THE MARVELOUS X-MEN #3 tells, in some ways, a story we’ve seen before. Storm and Magneto know something weird is going on, so they isolate themselves, away from Nate and Jean. 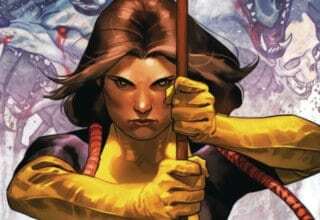 Like X-23 in AGE OF X-MAN: THE MARVELOUS X-MEN #1, they’re starting to see visions from their past life, but unlike X-23, Nate is slow to erase their memories. In an internal monologue, he reveals that the pressure of keeping up with this reality is exhausting but worthwhile. He truly believes that what he’s doing is right…even when those who gain their old memories are quick to tell him the opposite. In the end, Nate assumedly erases Magneto and Storm’s memories, and the pair are back at square one. 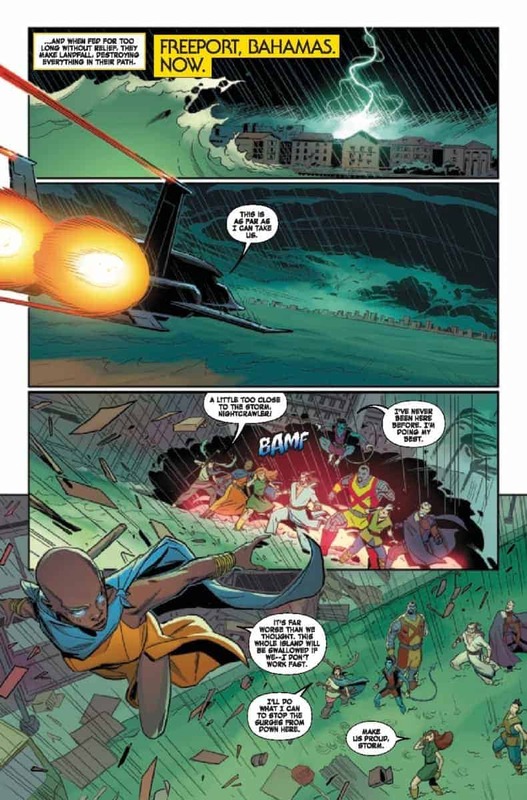 I’m usually the last person to complain about a lack of action in a Marvel comic book, but I have to say it: AGE OF X-MAN: THE MARVELOUS X-MEN #3 doesn’t have enough action. The storm scene at the beginning of the issue is less a battle and more a rescue mission. An exciting rescue mission but a rescue mission none the less. Since the X-Men are technically pacificists in this world, I understand the lack of action scenes. Nate’s X-Men prefer to fight with their voices instead of their fists, which is entertaining from a character development perspective. The squabble about whether or not to face Apocalypse head-on created a telling divide between the X-Men members that will undoubtedly come into play later on. Still, this is a comic book, and we need some more action. I wish Nadler and Thompson had added in a scene where Storm and Magneto attempt to fight off Nate (and maybe, somehow, get away). It didn’t need to be much — just something. 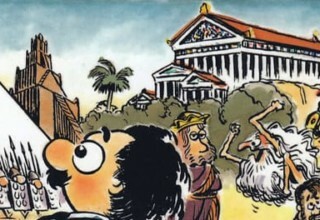 The absence of action emphasizes the stalemate nature of the series. The story is moving slowly, and so are the characters. Writers don’t have to choose between characterization and pacing. The best series manage to do both; of course, the keyword in there is “best.” Most issues do choose between pacing and characterization, including AGE OF X-MAN: THE MARVELOUS X-MEN #3. Nadler and Thompson know these characters extremely well. They’re able to weave together their personalities and motives like few other X-Men writers. From Storm and Magneto’s interactions to Colossus’ discrete pining for Kitty, each and every page manages to make a statement about at least one character. However, Nadler and Thompson aren’t the best when it comes to pacing. Though, honestly, I shouldn’t really blame them. The pacing problem really comes from the Age of X-Man storyline as a whole. AGE OF X-MAN: THE MARVELOUS X-MEN #3 is devoid of any real plot developments because it has to be. Each miniseries has to chronologically keep up with its counterparts. This equals a lot of filler issues. I wouldn’t necessarily consider AGE OF X-MAN: THE MARVELOUS X-MEN #3 a filler issue (especially if you’re a Magneto or Storm fan) because Nadler and Thompson do such a good job developing the characters. If they hadn’t, you’d be reading a different kind of review. Artist Marco Failla has a heavy hand when it comes to stylization. In some cases, this can be a bad thing. If this was a more serious comic, I’d be critical of the choice to have him on the creative team. 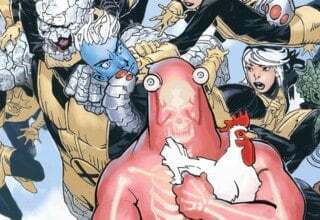 However, as most readers have probably figured out, Age of X-Man isn’t exactly a serious storyline. It’s serious in that the X-Men are trapped in this strange alternate reality, but it’s miles away from your typical Dark Knight issue. The Age of X-Man is creepy, but it isn’t grim. Failla’s cartoonish take on the X-Men lends itself fairly well to the “fantasy land” aspect of the Age of X-Man. 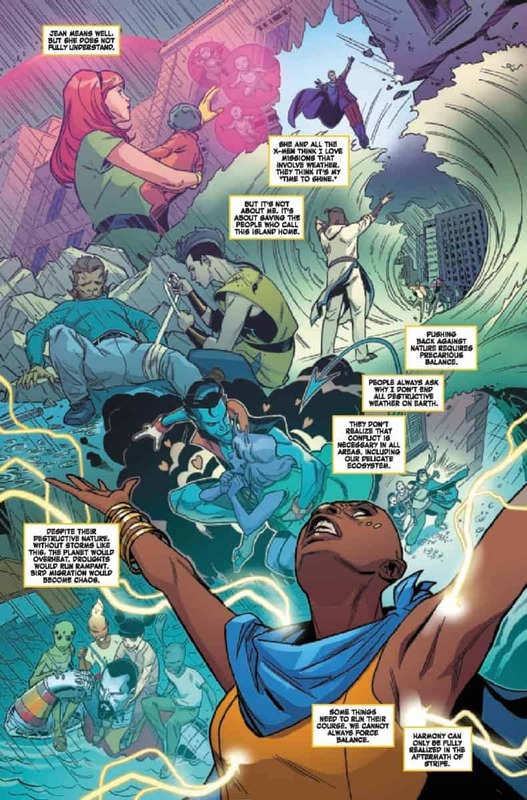 Similarly, Matt Milla’s saturated palette works well in AGE OF X-MAN: THE MARVELOUS X-MEN #3 conceptually. In the Age of X-Man, everything looks nice on the outside. Milla and Failla do an excellent job creating and maintaining that sense of illusion. All in all, AGE OF X-MAN: THE MARVELOUS X-MEN #3 did not disappoint. Unfortunately, it also didn’t impress. This issue really needed to push the entire storyline into something new and exciting. Instead, Nadler and Thompson chose to focus on characterization over significant changes in plot. Storm and Magneto’s characterization is close to perfect, but it doesn’t make up for the slow pacing. 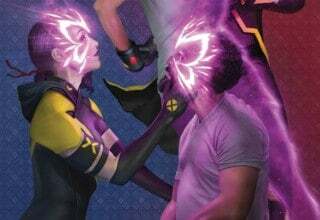 In AGE OF X-MAN: THE MARVELOUS X-MEN #4, something big really needs to happen…or else the Age of X-Man will become lost amid other Marvel storylines like WAR OF THE REALMS. The Age of X-Man can't last forever and this week's AGE OF X-MAN: THE MARVELOUS X-MEN #3 seems to prove that. In past Age of X-Man installments, we've seen various members of the X-Men rebel, including Jean and Kurt, but Storm and Magneto have been unusually silent throughout this sprawling storyline. Nadler and Thompson's decision to focus on these two is a smart move and helps to show just how many cracks are forming in Nate's fake reality. No one, not even the moralistic X-Men, can escape the itching feeling that something isn't quite right. Still, the issue notably lacks what much of the Age of X-Man lacks: big steps. Plot-wise, the Age of X-Man is moving extremely slow. This series, and every Age of X-Man series, needs to pick up the pace or risk losing readers.